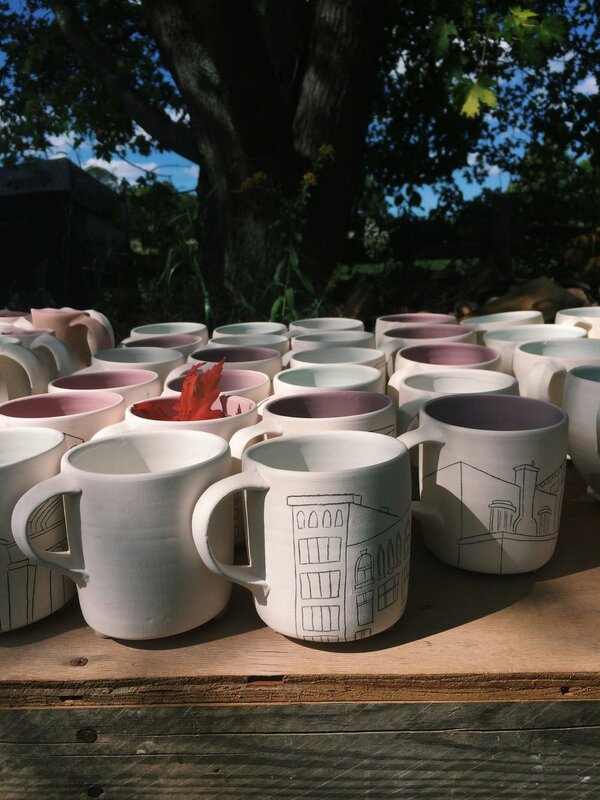 I've been away from the blog for a few weeks, as I was at a conference, and then studio reno-ing (more on that another day) and then Supercrawl. A start of a busy September indeed! Now that I'm back in the swing of things (and the fire bans have been lifted), I've stuffed my van with pots and have headed up north to start firing for the holiday season! This is my first time firing a train kiln, a kiln design that looks like a train car, and when fired correctly should make that warm and cozy chugging sound. My kind of sound. 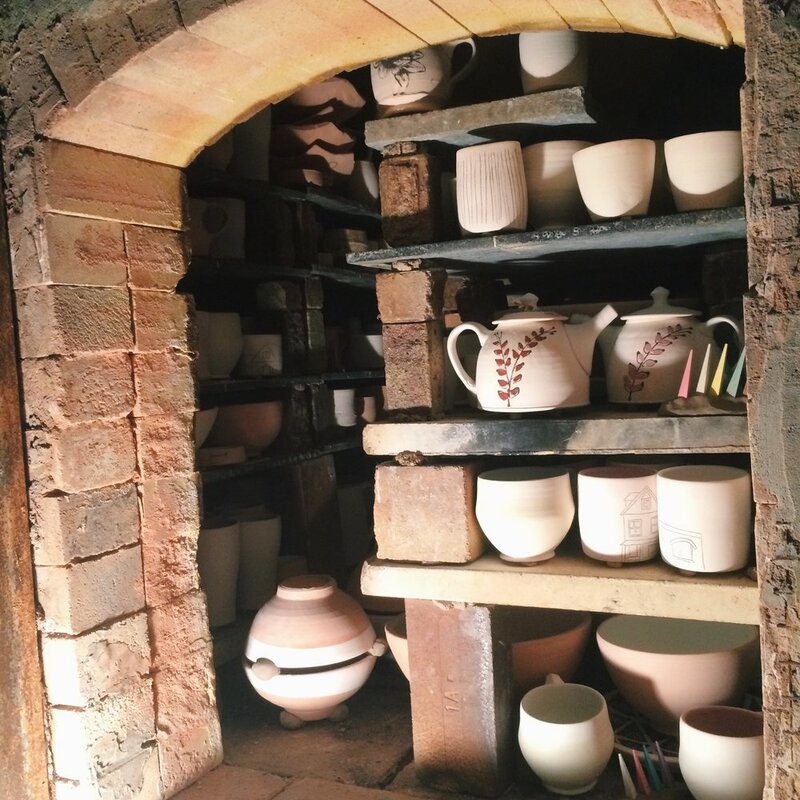 This firing is particularly special, as it is the last firing this kiln will ever see! After unloading next week, Duncan Aird and I will be tearing her down, and giving the bricks a new life in our very own kiln back down in the Hammer! Buildings are underway and we're hoping to have the beauty built before Christmas. So I'm up here toasting this sweet kiln many thanks, with good company, and good food, and looking forward to many firings ahead! 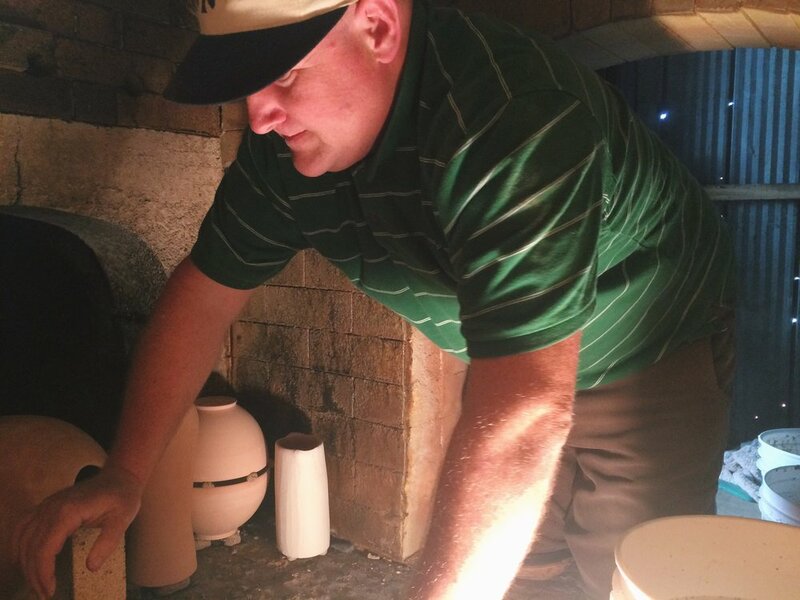 Jeff Martens, loading the kiln like a boss.